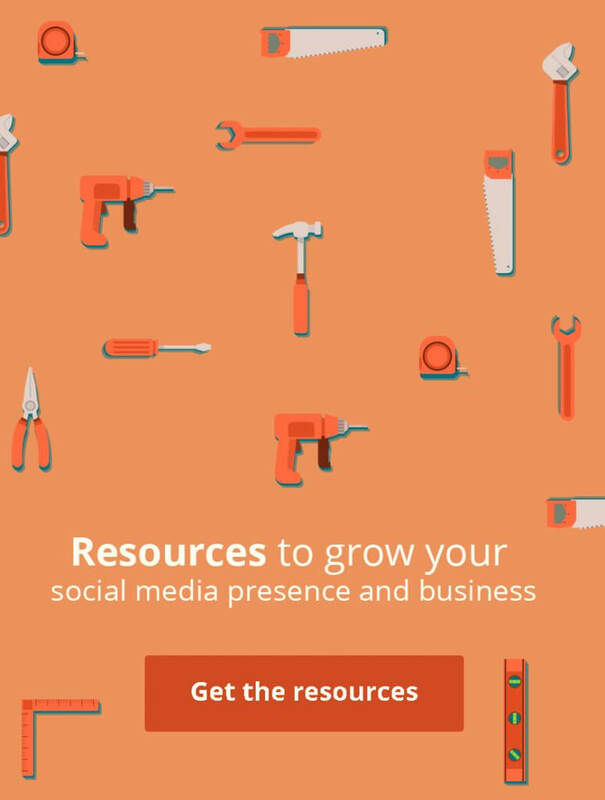 Your online store is up and running but you don’t have visitors. Your worst nightmare becomes reality when you check your Google Analitycs. Something is missing, you don’t have any visits from search result. It’s like the search engines like Google, Bing or DuckDuckGo forgot to include your website in their search results. To fix this you will need to improve your SEO. Make a simple site: search for your store’s home URL. If you see results your store will appear in search result. For example search for “site:soldigo.com”. How do you get your site on search engines? SEO stands for “search engine optimization” and it is the process of increasing the quantity and quality of the traffic to your online store in a free and organic way. Simply put, SEO is structuring your online store in a way that search engine understands. It’s about making your online store search engine-friendly and user-friendly. Why your store needs SEO? The answers is simple. Your store needs SEO because beside traffic from your social media accounts, search engines are the primary method of navigation for most people. There was a myth that SEO is dead. On the contrary. The importance of SEO is increasing with the growth of the popularity of mobile devices. Aaaand, SEO is free. With time, search engines have become very sophisticated and smart but they still need help. They can’t see and understand a web page the same way a human can. Search engine optimization helps these engines to figure out what each page of your store is about and how they are useful for your visitors. Meta tags are used in search engine results to display useful information about your store. The title tag is important for both SEO and social sharing, and it will be displayed as the search result snippet title. The meta description is the HTML attribute which is the detailed description of the search result. The title tag for your product and pages will be generated from the product and the page title and the meta tag from the description of the product and page. You can change the title tag and the description of your main page using the SEO Manager Soldigo App. If you recently created your store, it won’t appear in search results instantly. The store must be crawled by search engines. The first step to tell search engines about your store is to submit a sitemap.xml. This is used to tell search engines about all of your store’s products, categories and pages. The sitemap.xml is automatically generated for your store and you can access it at http://yourstorename.soldigo.com/sitemap.xml (replace “yourstorename” with your store’s subdomain) or http://yourstorename.com/sitemap.xml (replace “yourstorename” with your store’s domain name) if you have a custom domain name. For now, you will need to submit the sitemap to the search engines using services like Attracta.com. Navigation is one of the most important parts of your store. A clear and easy navigation will help your visitors to find your content and also helps search engines to understand which content is the most important. Don’t include too many menus on it since this will confuse your visitors. Keep it simple, use maximum 10 menus. If you have more than 10 menus, create a hierarchical menu structure. In some cases your categories don’t fit into your main menu, so include them into a secondary drop-down menu. Your store navigation menus are automatically created and you can manipulate them using Soldigo’s “Menu editor” feature that you can find under the “Content” menu. In order to crawl the content, search engines need unique URL for every product of your store. These should be simple and clean in order for your users and for search engines to understand them. 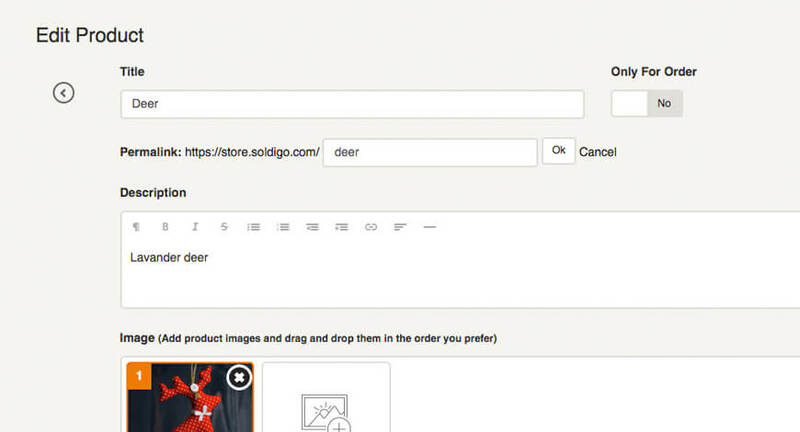 Soldigo automatically generates the URLs for your products but if you wish you can change them. After uploading a product, simply edit it and change the Permalink of the product. If you do so, add targeted keywords and use lowercase letters only. Usually an online stores has a few hundred products to list. 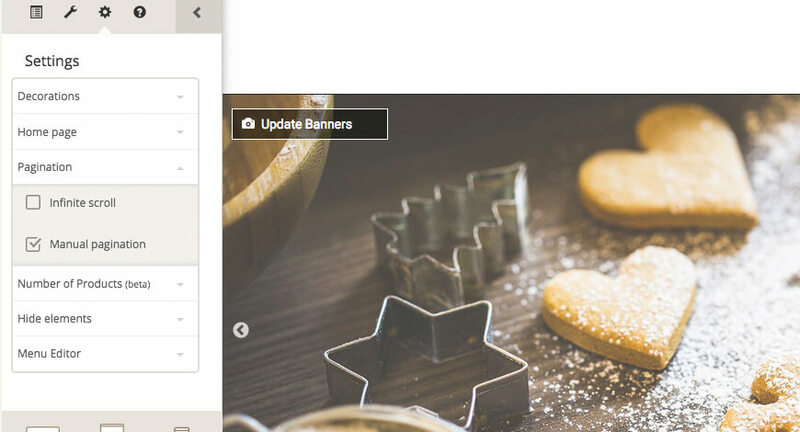 Pagination lets you separate your products-listing into smaller sections. Using Soldigo, you can choose from two types of pagination: manual pagination or infinite scrolling. You can choose which one you wish to use on the setting tab in the right panel under the Designer menu. In the e-commerce industry the manual pagination is the most used type of pagination because you can give the visitors more control over jumping between pages and search engines can understand the connection between these pages. Prove search engines that you own the site that you claim to own. This is useful because it can affect the way search engines will crawl your store. Using the Soldigo’s Site owner verification app, you can prove the ownership of your store to Google and Bing. Internal links help guide your visitors from one page to another in your store, giving them more options to engage with your store. Additionally, internal links help search engines easily crawl your store. You can use internal links everywhere in your store: in the products descriptions, pages or blog posts. 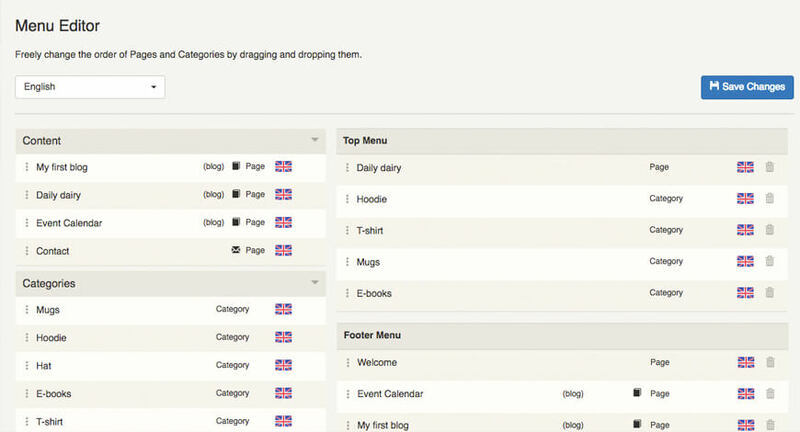 For example you can include an internal link in one of your blog posts to guide the reader to one of your products. Content is the king. The more content you write, the better the chances are that your store will be found and crawled by search engines. You can create content on your product description, pages or blog posts. But be careful, create quality content and write only about the niche of your products. Don’t create unnecessary content just for the sake of creating it. Be creative and find ways to provide quality. For example tell your story, write a blog about the benefits of your products, educate your visitor on how they can use your products, create an event calendar and let your visitors know where they can meet you, etc. Making content available to search engines helps boost rankings as well. The world of SEO is very complex, but everybody can understand it with a little engagement. Take your time and do your store a favor and improve your SEO. Even a small amount of work can make a big difference. If you don’t have time to do it yourself you can hire an expert who can handle things for you, either way, make SEO a priority and see the results roll in!